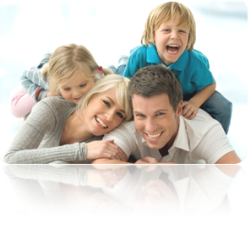 Bondi Dental has been established in the Bondi area for over 30 years. We have maintained a very good reputation in providing high-quality dental care for the Bondi community and people from surrounding suburbs. We are family dentists who provide general dental care for you and your family using the latest equipment and technology. Great effort has been taken to provide you with a pleasant dental experience with friendly smiles, fresh flowers, great music, and the calming aroma of cappuccino from our coffee station. At Bondi Dental, we believe in helping you keep your whole mouth in top condition and are pleased to invite you to join our Active Maintenance Program (six monthly dental check up, examination, scale and clean). Being part of our Active Maintenance Program only requires regular visits to examine your oral health condition, monitor the health of your gums, and professionally remove plaque build-up and bacteria. To provide you with the best possible care, we have an experienced, gentle, and caring Dental Hygienist as part of our team to thoroughly clean and remove plaque build up, and provide you with expert oral hygiene education . If you have not taken part in our Active Maintenance Program before or have not attended an Active Maintenance Appointments in the past six months, we encourage you to make an appointment with us today. If you require any of the above services, call Bondi Dental now at (02) 9365 7187 and our dental professionals will take care of all your dental needs.